LUDWIG - ATLAS CLASSIC HEIRLOOM DRUM BAG SET - 3 PIECE - 20"/12"/14"
We're one of the few places licensed to trade your gear. Rent what you want and own it at the end. In an effort to increase awareness and trust in the Gibson brand in Australia, we have put together this professional video of the Australis warehouse showcasing the technical checks done once a guitar lands in our Australian warehouse. Music knows no boundaries. At Dream Music, we like to stay across whats happening in other parts of the world to bring the very best and latest to our customers. There are music stores, and then there is Drummers Dream & Dream Music. We take pride in our one-of-a-kind true musician vibe is in our store. We provide the highest level of pro knowledge, service and advice on all of your musical instrument needs.
" Good prices, great customer support and a great selection of instruments. 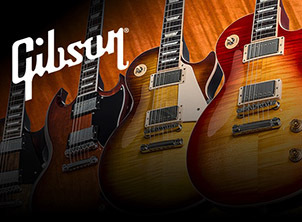 Plus only seller of dean guitars in all of Australia. " " Great service, friendly and helpful staff, as always. " " Excellent service, the only place in Sydney where I could get my LP timbales Tito Puente "
" Great store with a lot of options! Great staff who really help you out and know what they talk about! Recommend big time! " " Amazing service, good prices, knowledgeable staff. Perfect. " " I'll admit I was expecting to be treated like you do at JB HIFI, but this place was SO NICE! All the staff were polite and courteous. I highly recommend this store to anyone looking for a good price and great customer service. "